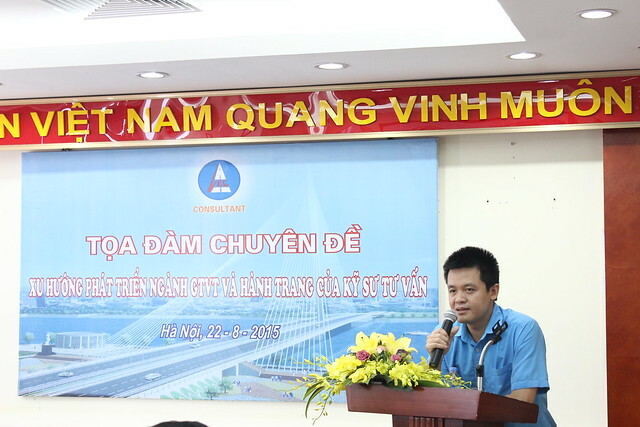 Mr. Phan Hoang Phuong – Deputy Director, Center for Urban and Rural Transport Development (under Transportation Development Strategy Institute) and Mr. Nguyen The Cuong – Deputy General Director of Vietnam Expressway Corporation (VEC), Chairman of VEC Consultant were speakers of the seminar. 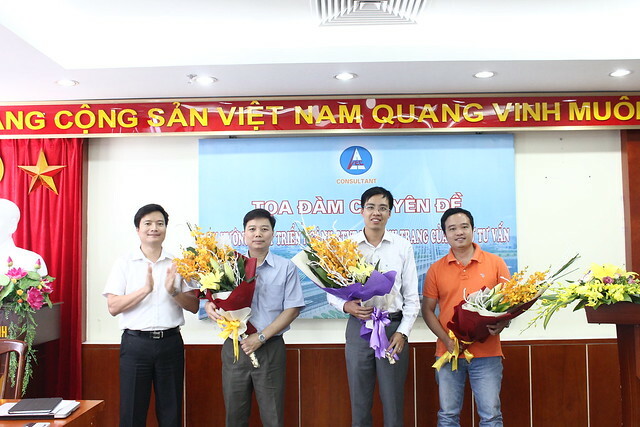 Mr. Nguyen Trong Dong and the guests from Research and Development Center of VEC, engineers and workers of VEC Consultant also attended this significant seminar. After some music repertoires, there was an emotional film representing the history of 7 decades being the pioneer of Transportation sector and summarizing 8-year-development process of VEC Consultant. 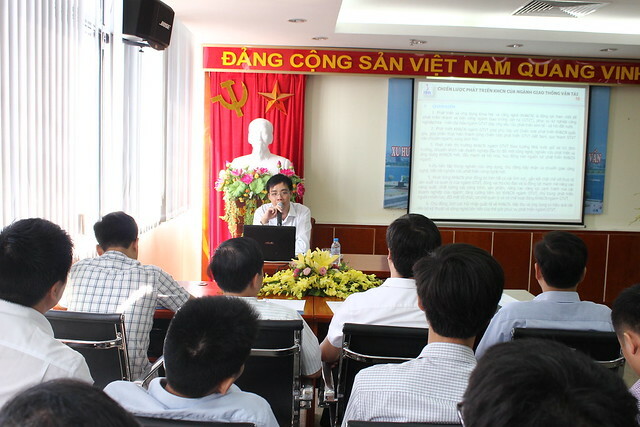 Master Phan Hoang Phuong started the Seminar by sharing the updated information about development strategies of Transportation sector and technology application trends in the period 2015- 2020 which would open up new opportunities for traffic consultant such as: infrastructure systems associated with planning transportation logistics centers, the development of different types of urban transport, science and technology transfer consulting, etc. The discussion took place in exciting and opened atmosphere, which created an intimate cohesion between the guests and VEC Consultant engineers. 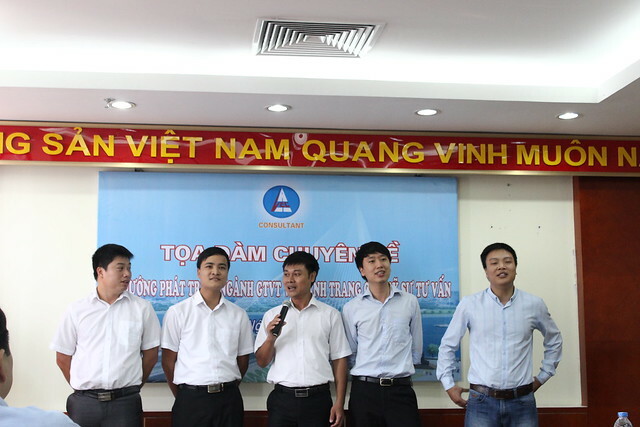 The experienced consulting engineers caused surprised, touched for young engineers when sharing the “job confidence” through their self-composed poems. With the doubts of young engineers before new challenges, the encouragement and career direction of the older generation will be a guideline for the young, make them be more confident. 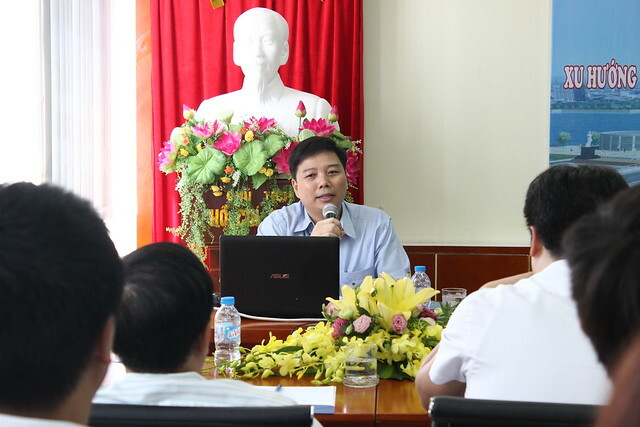 It is also the most important goal that seminar program “Development Trends of Transportation and Consulting Engineer’s inventory” toward.